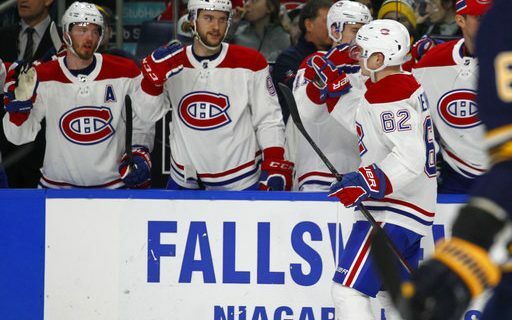 The great Montreal sportswriter Michael Farber once wrote that there were only two institutions that fully understood the importance of tradition in society: The Royal Family of England, and the Montreal Canadiens. I can’t give you an update on what’s new in Buckingham Palace, although the Queen seems to be doing well after more than 60 years on the job. However, these are clearly very difficult times in Montreal. Until 1993, the Canadiens had never gone more than 13 years without winning a Stanley Cup (1931 to 1944). Admittedly, it’s gotten tougher in a league with 31 teams as opposed to one with six. But even so, 2018 marks a 25th anniversary of the last Montreal team to win a championship. In a town where hockey is treated as something close to a religious experience, this must be torture. That’s a tradition that is not worth celebrating. Not only did the Canadiens used to be good year after year, but they were always a team you could admire. They played the game the right way, and had a string of superstars over the years – Richard, Beliveau, Lafleur, Roy, etc. There’s a reason why the current team has a bunch of numbers above 30 – a lot of the low ones deserved to be retired. What’s more, it sure doesn’t look as if the Canadiens are headed toward breaking that 25-year cold spell anytime soon. They came into the KeyBank Center on a 1-7-2 spell, as they were in 27th place in the NHL. That’s the type of team that, under most circumstances, the Sabres might look forward to playing. However, Buffalo had its own problems entering the game. The Sabres were as flat as Nebraska in losing to the lowly Coyotes on Wednesday. What happens when two struggling teams square off? Something of a snooze-fest, and it was the Sabres that did just enough snoring to lose. The Canadiens took a 3-0 decision before 18,594, although that was a little deceptive because of two empty-net goals. Still, the Buffalo offense was missing in action for the third straight game. That’s 180 minutes of play by the Sabres in this stretch of home games, with one goal to show for it – by Jordan Nolan, no less. O’Reilly had a night that probably left him staring at the ceiling when it was time to go to sleep. He had two of the Sabres’ best offensive chances on a night not full of them, and couldn’t convert. On one, during a five-on-three power play, he fanned on a shot from the right side when goalie Antti Niemi – who had his first shutout since 2015 – was barely in the area code of the net. At the other end, Linus Ullmark was left feeling like a losing pitcher of a low-scoring baseball decision. Perfection is a pretty high standard to meet, and he needed to be that good in order to get the win. The one Montreal goal came on a shot that was off-target but bounced back near the crease, as Arturri Lehkonen tapped it home. You could argue that the Sabres picked their play up a little bit compared to Wednesday’s loss against Arizona – admittedly a low bar to cross. It didn’t seem like Housley was any happier Friday than he was then; his postgame news conference after this loss checked in at a quick minute and 43 seconds. One comment was particularly interesting. On that discouraging note, the Sabres packed for New York for a Saturday night date with the Rangers. Meanwhile, the Canadiens headed home for a game with the Capitals, with smiles on their faces for one of the relatively few times this season.